Allergy season is here! When that layer of green dust appears, then you know the plants are in business. But the appearance of green dust isn’t the only indicator of the beginning of allergy season – the disappearance of modest clothing seems to mark the start of the season too. It seems as if more people get allergic to their clothes than they do the pollen at this time of the year. As Christians, whether it’s 30 or 100 outside, we represent God to the world. If we allow our public clothing to leave “little to the imagination” on purpose, then it’s not the cotton’s fault…it’s our conscience that has the problem! We should know better. As the temperature starts to rise, with or without the pollen count, please remember that modesty should matter for Christian men and women. Ladies, short shorts and short skirts, tight pants and dresses, low-cut shirts and blouses, and bare all bikinis may be in touch with the latest fashions, but it’s out of touch with holiness. Men, mowing the yard can be done just as easily with a shirt on, and leave the “muscle tee’s and the gun show” for the guys at the gym. People don’t have to see your masculinity to know you’re a man. Don’t compromise godly values for worldly wardrobes. Dressing immodestly isn’t a matter of economics – it’s a matter of self-worth. Dressing immodestly isn’t a matter of opinion – it’s a matter of distinction. Dressing immodestly isn’t a matter of control – it’s a matter of consideration. How Do Our Words Taste? Some have said that nearly 6,500 human languages exist! How many of those languages do you think has words that are kind? How many of those languages do you think has words that are hurtful? Probably about 6,500 of them, huh? The fact is that some troubles are brought our way by others, but at other times the fact that we bring our own problems to our door can be seen in David’s life. Whatever the case may be, the weariness and worn feelings that come our way from time to time mean that we are human. 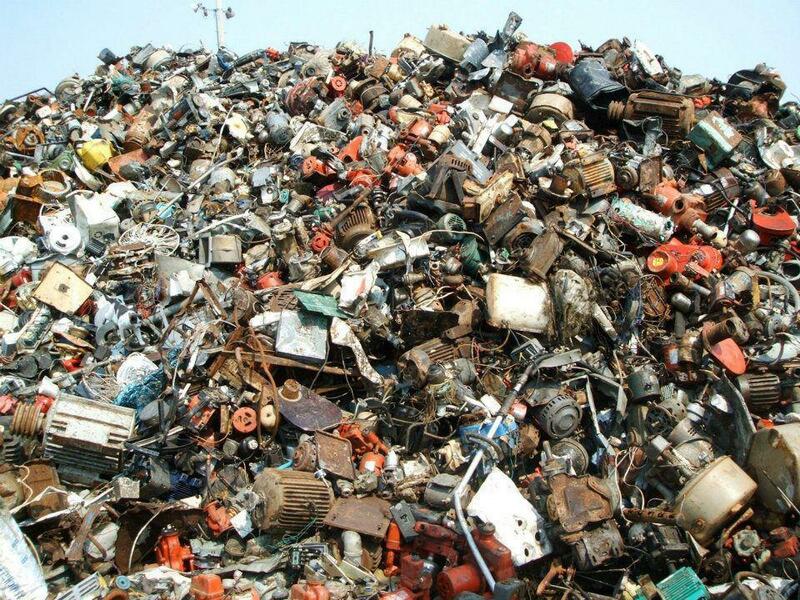 Can You Find The Cat??? I got this picture in an email; it’s no “Where’s Waldo,” but I thought I would pass it along for the fun of it. I don’t know why the cat is there, but he’s taking a walk on the junk pile. Can you find him? If you do, don’t tell where he’s at…let others enjoy the challenge of looking for him too. Remember to smile and enjoy the fun in life when you get a chance! Every once in a while I still see a bumper sticker that says something like, “In case of rapture this car will be un-manned” or “When the rapture happens you can have the car.” You probably know that the word rapture is a popular one among many people in the religious world. But what you may not know is that the word itself is not used once in the KJV of the Bible and there is no solid support found in the original Greek manuscripts. Now, I’m not saying that Jesus isn’t returning, that the dead won’t be raised or that the living won’t be caught up. Christ returning is definitely not a teaching foreign to the Bible. Jesus taught His disciples and warned others that He would return (Mark 14:62, John 14:3, 1st Cor. 11:24-26). But the doctrine of the second coming of Christ and the perverted doctrine of the rapture are not the same. One is right and the other is wrong. Yes, I know the rapture is a popular teaching, but being popular and being right are not the same either. Think about some of the major components concerning the teaching of the rapture. The details depend upon who’s teaching it, but there are several common foundational teachings that crumble when they’re examined along with some clear statement scriptures found in the New Testament. The number one cause of death for the last couple of generations in America has been heart disease. While physical death cannot be avoided (save Christ’s return), the problem with heart disease is that often it is something that results from an intentional lack of care and awareness on our own behalf. Sadly, physical heart disease has a spiritual counterpart. “Now when the tempter came to Him, he said, “If You are the Son of God, command that these stones become bread.” But He answered and said, “It is written, ‘Man shall not live by bread alone, but by every word that proceeds from the mouth of God.’” (Matthew 4:3,4). Our spiritual diet matters! “For bodily exercise profits a little, but godliness is profitable for all things, having promise of the life that now is and of that which is to come. This is a faithful saying and worthy of all acceptance.” (1st Timothy 4:8,9). Our spiritual exercise matters! “Come to Me, all you who labor and are heavy laden, and I will give you rest. Take My yoke upon you and learn from Me, for I am gentle and lowly in heart, and you will find rest for your souls. For My yoke is easy and My burden is light.” (Matthew 11:28-30). Our spiritual rest matters!